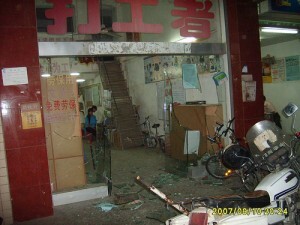 China have learned of a series of violent attacks on a labour group and its legal person in Shenzhen. 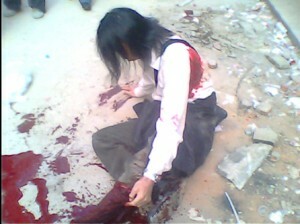 Above photo: On 20 Nov 2007, the legal person of the DGZ centre, Huang Qingnan was seriously injured after attacked by two people with choppers. Implements the national policy to maintain a harmonious labour relations, improves the protection of civil groups and their staff in order to prevent violent acts and maintain public security.